Erica West Oyedele presented Missing Narratives in Interpreting and Interpreter Education at StreetLeverage – X | RID Conference 2015. 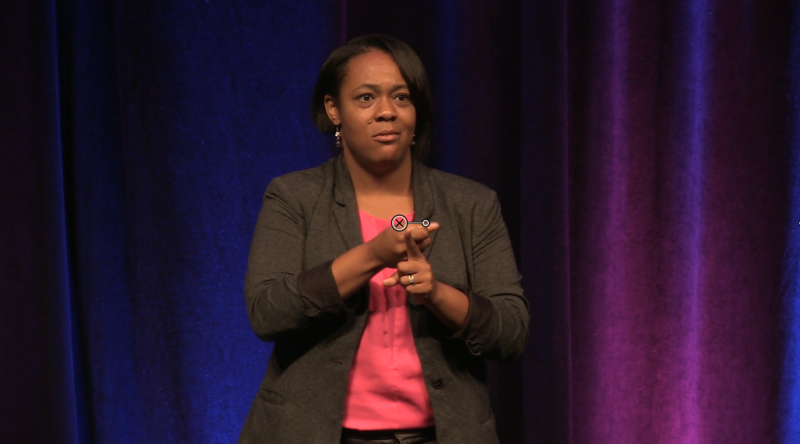 Her presentation explores the lack of diversity within the predominantly White, female field of sign language interpreting and provides a call to action for potential allies. Thank you, StreetLeverage, for giving me the opportunity to be here with all of you. This presentation is based on the research I conducted during graduate school that looked into the experiences of African American/Black interpreters, and took into consideration African American/Black Deaf consumers and their experiences with interpreting services. However, my comments today are not just for them. Rather, they are for all of you. Additionally, it is important for me to thank all of the interpreters of color and all of the Deaf people of color who participated in my research study. Today I want to talk with you about the narratives that I believe are missing from the field of interpreting and interpreter education. Initially, I planned to show a slide that included the demographics of the field of interpreting. Two days ago, I changed that slide because every day this week there has been a presentation that has shown us the demographics of the RID membership. Hopefully, you’ve paid attention as those numbers have been presented. If you were paying attention to the statistics, then you know that approximately 88% of the RID membership is made up of White interpreters. Therefore, the remaining 12% of RID’s membership are interpreters of color. This slide is a representation of our 12%. 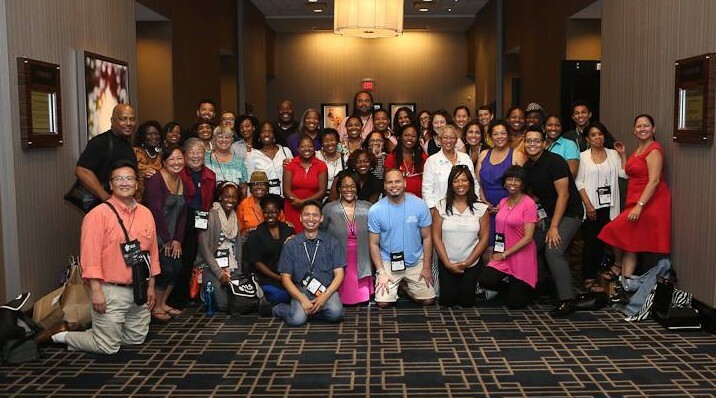 If you attended the ITOC (Interpreters and Transliterators of Color) Member Section forum, then you also would have seen as a part of the presentation a slideshow of various interpreters of color. We make up a diverse population. We are from a wide range of backgrounds. We are hearing, Deaf, straight, gay, lesbian, Codas, and so much more. For interpreters of color in our organization there is a wealth of diversity beyond race. As I mentioned, we’ve already seen the numbers presented to us throughout the conference so that will not be the focus of this presentation. To be quite honest, for those of you who have seen those numbers presented (88% White interpreters and 12% interpreters of color) and responded with surprise, I ask, why? I can tell you that these numbers are of no surprise to the 12% of interpreters of color within RID. The numbers have been the same for many years! Of course there is some small fluctuation in these numbers from year to year, but the percentages have been consistent. So instead of talking again about the numbers, let’s talk about the impact of these numbers. The impact to interpreters of color, consumers of color, and the impact to all of you, our White allies. You notice that it is my hope that you will become our allies. I want to begin with a story. This story comes from one interpreter who participated in my research study. I have to warn you that this story contains language that will be uncomfortable for you and that’s okay! When you start to notice your own discomfort, breathe in, and then analyze the source of your discomfort. Then we’ll discuss some more. One of the reasons we are challenged to engage in these types of discussions is because of the fear we hold around this type of topic. I want to let you know that the fear I am referring to extends to me too. Again, that is normal. Right now, my fear has to do with how I will be perceived by my colleagues as a hearing interpreter of color, who has just been sworn in to the RID board. All of those thoughts I recognize right now are a part of who I am. Furthermore, this topic is not easy, yet it is easy for me to become a target when bringing forward this type of discussion. I’ve made the decision that the discussion is important enough that it needs to be addressed. When you read this story, I want you to recognize that this is the experience of interpreters of color. Although this particular story took place after the interpreter had completed their work, we have to acknowledge that interpreters of color confront systems of oppression before, after, and during their work. What is most unfortunate is that while they are working they often face this discrimination from consumers and colleagues alike. That is the impact of the numbers we have seen but that we have failed to discuss. Perhaps if we have these candid discussions we might come to a place where we would see the number of interpreters of color rise. When I look at this story, I also recognize the interpreter’s emotional response. Again, it is a normal emotional response, yet I am personally often aware of not wanting to be labeled as the angry (fill in the blank) person: the angry Black person, Deaf person…the angry something! But if we look at what happened, you notice that the interpreter experienced a range of emotions that included confusion and fear, in addition to anger. This is because having to confront systems of oppression becomes an additional demand for interpreters of color. When I speak of demands I am referring to the Demand-Control Schema as presented by Dean and Pollard. Taking into consideration their theory, I think it’s fair to say that interpreters of color have additional demands they have to confront when they go to work. Why isn’t this discussion taking place in interpreter education programs and in workshops in our field? If we truly want to see an increase in the number (or percentage) of interpreters of color, we need to consider what doable actions we might take to acknowledge this reality in our field. My aim is not for you to read this story and then leave here today feeling sorry for interpreters of color. We don’t want your pity. We want action. Because these stories are not shared in workshops, and because these stories are not shared in interpreter education programs, interpreters of color are not being prepared for the field of interpreting that they will actually face. It also means that the 88% of White interpreters are not learning how to become allies. Are interpreters of color really being prepared for the field of interpreting? Are White interpreters prepared to work with us as allies? I don’t know. I think we would be more prepared if we figured out ways to work together. We have to acknowledge the impacts of power, privilege and oppression within this field. The number of African American/Black study participants in my research was 116. 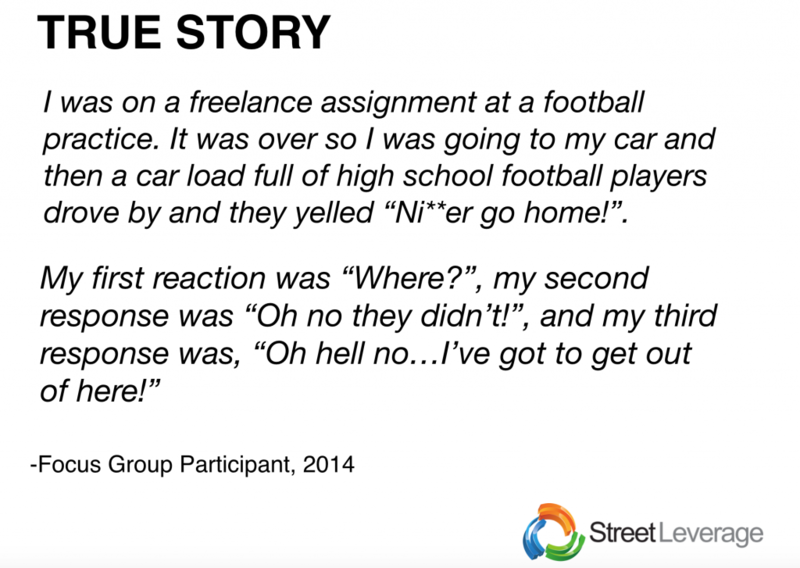 72% shared that they experienced overt acts of discrimination and oppression while they were working. I am no longer talking about before or after work. The majority of Black interpreters experienced oppression from consumers and colleagues at some point while they were working. Participants in the Black Deaf focus group that I conducted also shared their concerns regarding the field of interpreting. We have long discussed in this field the relationship between language and culture. We have acknowledged that for a complete understanding of language to be present, we must first understand the underlying influences of culture. This is not a new discussion for us. Yet, most of the Black Deaf participants in my focus group felt that interpreters did not have an understanding of their culture. Let’s consider what that means for consumers of color. It means they are working overtime to assimilate to the needs of interpreters, instead of interpreters working to accommodate their needs. Interestingly, for the Black Deaf focus group in particular, they overwhelmingly shared that they felt a sense of relief when they had access to interpreters of color. They felt understood. They perceived interpreters of color to be both linguistically and culturally competent. I of course followed up by asking how often they had access to interpreters of color. Every Black Deaf focus group participant said that it was rare for them to have access to interpreters of color. For those of you who are mentors or educators in this field, the majority of interpreters in my study (around 63%) felt that their mentors and educators were ineffective when it came to discussing multicultural issues or addressing issues of cultural competency. 86 of the participants who were in my study completed a formal interpreter education program. So again, 63% to 64% felt that their instructors were ineffective at addressing issues of multiculturalism or cultural competency. An additional 14% stated that they could not respond to my question because there was no discussion of multiculturalism or cultural competency in their programs at all. Frequently, research participants shared that when discussions of multiculturalism or cultural competency took place, those discussions were limited to Deaf and hearing cultures only. They addressed a Deaf-hearing binary that oversimplifies the two cultural groups, because we know that Deaf and hearing individuals come from a multitude of diverse backgrounds. People of color can be trilingual interpreters, they can be Codas, etc. They have a whole host of identities beyond being hearing or Deaf that impact who they are. That is intersectionality. So when we are not discussing culture beyond the Deaf and hearing binary, we are marginalizing the communities that we serve, we are dismissing who they are, and we are not doing good work. So, perhaps we can’t stop situations like the one I shared with you at the beginning of this talk with the interpreter of color who was innocently walking to her car and confronted discrimination. There is no expectation that we will change the system overnight. But we can start with ourselves. We can start at home! This message is for all of you, the 88%. Develop your allyship skills. Often we use the word ally as a badge, as though it is who we are. I mentioned briefly during the community forum a few nights back a range of different skillsets for allies. On one side, we have avoidance. That’s a skill. You can see oppression happening around you and choose to do nothing. On the other side, we have allyship, which means actively doing anti-oppression work. Develop your cultural competence. I realize many people don’t know what that means. I’ve seen many different frameworks that help to describe cultural competency. I have not included that information in this presentation for the sake of time but if you contact me, I am happy to share resources with you. The point is, if you are working with interpreters of color, think about how you are going to connect those interpreters with communities of color. If you are an educator and you are working with interpreters of color, what types of resources are you utilizing in your interpreting program? There are resources out there for you. Are you utilizing the NMIP (National Multicultural Interpreter Project) curriculum to supplement your instruction and as a part of your mentoring resources? The NCIEC (National Consortium of Interpreter Education Centers) recently released their social justice module for infusion within interpreter preparation programs. Are you incorporating those messages into your curriculum? When you require students to read articles or books, who are the authors? When you invite people of color to come to your classes and workshops to present, do you invite them to discuss race only or do you invite them to talk about the whole of their experiences and who they are? When you extend invitations to people of color, and you only ask them to talk about race, that looks like tokenism to me. My closing comment is this. Invest in social capital for interpreters of color. In short, social capital is a term used to describe the quality of relationships people have within a particular group. If you have good, strong, relationships, and you have a large network within your community to interact with, then your social capital is strong. However, if your relationship ties are weak or your network is small, then your social capital is weak. So in your interpreting programs and in the workshops you teach, when you name RID or NAD, make sure you also name NAOBI, name Mano a Mano, name NBDA, name the Asian Deaf Congress, and the many other organizations of color that are out there. Connect interpreters of color with organizations and communities of color, and while you’re at it, check these organizations out for yourself, too. That is a way for you, the 88%, to partner with us. As sign language interpreters, we understand the importance of accurately communicating concepts in our choice of words and signs. It’s time to start applying that knowledge to the way we talk about our own work. In the field of sign language interpreting, there recently has been a shift toward doing what Napier, McGee, and Goswell (2010) have suggested – naming the actual languages involved in the interpretation. This means that the term “voicing” should not be used as it does not appropriately state what we do when we render a signed utterance into a spoken one. We interpret from ASL into English. Kelly (2004) stated that the term “voicing” is “merely a vocalization of the signs used, not a true interpretation” (p. 1). I have thought about this shift of terminology and it is befitting to better describe what we do as sign language interpreters. That trend can be seen in Interpreting Programs where classes that were once called “Sign to Voice” or “Voice to Sign” have now been renamed “ASL to English” or “English to ASL”. If you think about it, sign language interpreters are not avatars; we do not have a script that we read off of like voice actors, we do not say exactly what the Deaf consumers with whom we work sign, we interpret. This means that we take into account the pragmatic information about the assignment, the background knowledge, culture, educational level, body language, facial expressions and what is being signed. From all of that, we then interpret what is being said, selecting words that reflect the Deaf consumer’s purpose and are idiomatic to the situation. The goal of a good ASL to English interpretation is to make it sound as natural as possible and to ensure our word choices flow with the communication context taking place. Somewhere along the way, sign language interpreters started to use the term “voicing” and this morphed into more than just meaning to interpret from ASL to English; now it is being used to as a synonym for talking (using audible speech) in the interpreting community. This is not how the majority of hearing culture speaks. How often have you heard someone who is not associated with the field of interpreting say, “Is it okay if we voice?” Normally, in hearing culture one may ask, “Is it okay if we talk?” It seems we forget how to speak like those outside of our field. Sign language interpreters should be considering the hearing consumer as much as they consider the Deaf consumer. The interpretation should be such that neither of the consumers have to re-interpret what was said to make sense. Sign language interpreters should speak in idiomatic terms that sound natural to English speakers. In the hearing world the term “voice” is not typically used as a verb. It is not used to mean “speaking.” As professionals who are supposed to be bilingual and bicultural, we need to know how to make the message sound idiomatic for all parties involved. Kelly (2012) noted that the message needs to “sound or look as normal as possible to the consumers involved in the interaction” (p. 7). At a Video Relay Service Interpreter Institute (VRSII) Interpreter Educator Symposium, Sharon Neumann Solow made a good point about the term “voicing,” explaining that to many outside of the sign language interpreting field, that term means to have an opinion included. We hear people say, “I want to voice my opinion about. . . . ” As sign language interpreters, we learn that we are not to interject our opinions into our work. When we state “I will be interpreting all communication from ASL to English and from English to ASL,” this clearly defines what we do as interpreters. At a presentation I attended at Gallaudet, Dirksen Bauman said that he did not know he was “hearing” until he was close to twenty years old (I cannot recall the exact age he gave). For those of us who were not born into the Deaf community, we did not know the term “hearing” before we entered this field . Members of American majority culture do not use that term in their vocabulary. 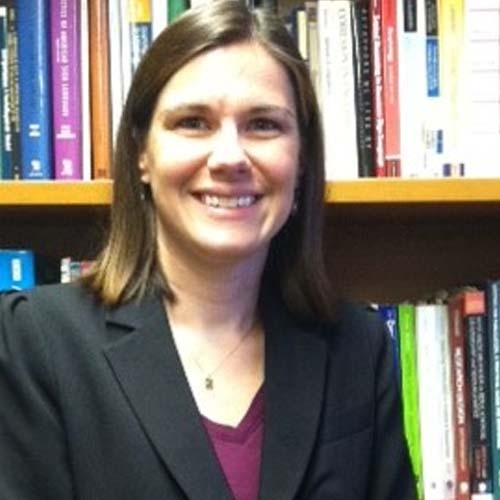 Carla Mathers has noted in her legal trainings that the word “hearing” should not be used when interpreting into English as it holds a completely different meaning in the courts. Again, it is important we are using terms that are used in the communities in which we work. By doing so, we are ensuring the Deaf person sounds natural and the hearing consumers do not have to reinterpret what was just said because they are not familiar with the terms used by the interpreting community. If we are not using terms that are used by the hearing majority when we interpret into English, are we truly matching the speaker in a way that can be clearly understood by all? Are we doing a disservice to the Deaf consumers by making them sound “different”? If we are, are we truly bilingual? Are we truly interacting and collaborating with others in words and phrases that clearly explain the work we do? I know that I personally can think of a few times when I used a term such as “voicing” or “hearing” and the hearing consumer asked me about it. Those terms are not native sounding in English to those outside of our field. This does a disservice to the participants. Terms are used that are unfamiliar to the hearing clients which often reflect negatively on the Deaf consumers. 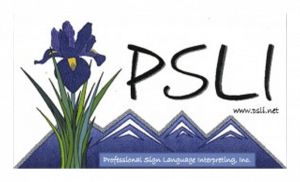 Over the past few years, the trend of accurately naming our work – interpreting from ASL to English – has been increasing as we work to elevate our profession. It seems that, at times, we ignore the needs of the hearing consumers and focus solely on the needs of Deaf consumers. Both are equally important and deserve messages that are delivered in ways that are readily understood. All parties deserve an interpretation that is conveyed in a natural way. To raise the status of our profession, we should challenge each other to speak in terms that precisely state what we do. Change does not come quickly or, at times, easily. The challenge is for all of us to start owning our work and stating what we do: we interpret into English. This can be accomplished in many simple ways. When you see the sign “VOICE”, interpret it as “speaking in English” or “spoken English” or “interpreting into English” (depending on the context). When you see the sign “VOICE-OFF”, interpret it as “there will be no speaking English” or “there will be no talking” or “do not use spoken English”. The same can be said with the sign HEARING: this can be interpreted as “people who can hear”. Teachers who work in interpreting programs should encourage students to start speaking in terms that are readily understood by the hearing populations with whom they will work. Talking to other colleagues in the profession about the work and looking at it from a more objective point of view will help all of us improve our skills. The change starts with you. We interpret from ASL into English. What resistance may there be to stating what we do? Are you willing to change how you speak? What positive impacts can you see happening based on this slight shift in how we own our work? What other terms do we (interpreters and the Deaf community) use that could be stated more clearly? Sign Language Interpreters’ Attire Leaves a First Lasting Impression by Jackie Emmart, Matt Etemad-Gilbertson, Kristy Moroney, Lena Dumont, SooJin Chu, Laura O’Callahan, and Will English. Kelly, J. E. (2004). ASL-to-English interpretation: Say it like they mean it. Alexandria, VA: RID Press. Kelly, J. E. (2012), Interactive Interpreting: Let’s Talk. Alexandria, VA: RID Press. Napier J., McKee, R., & Goswell, D. (2010). 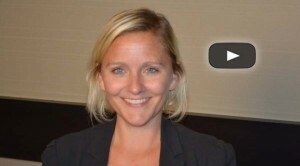 Sign language interpreting: Theory & practice in Australia & New Zealand. Sydney: Federation Press. 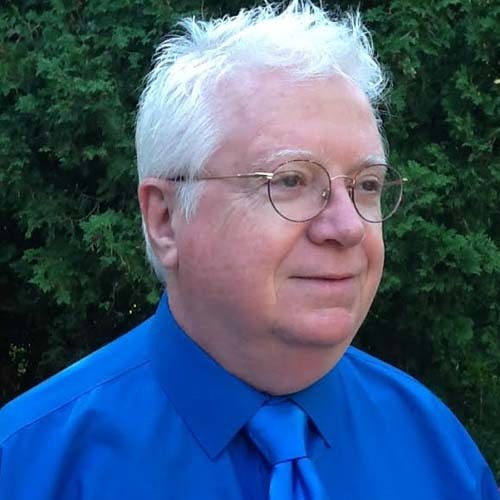 Ray Kenney presented Deaf Interpreter Conference Finish: Do Do Now? 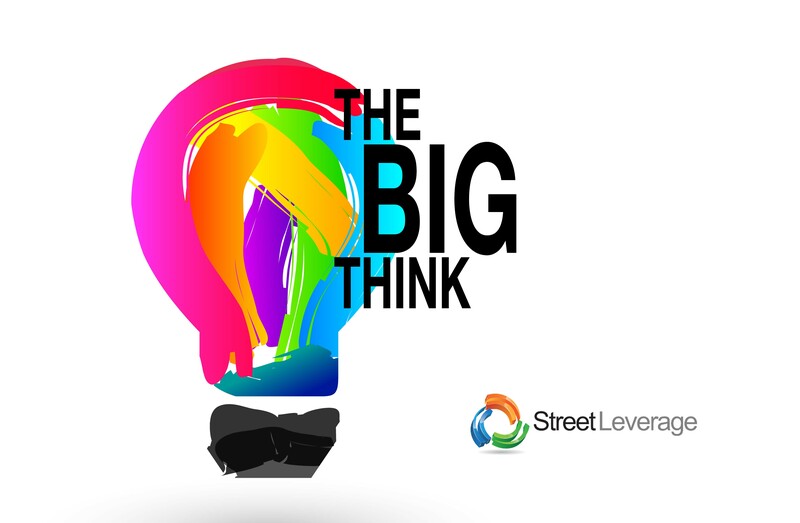 at StreetLeverage – X | RID Conference 2015. 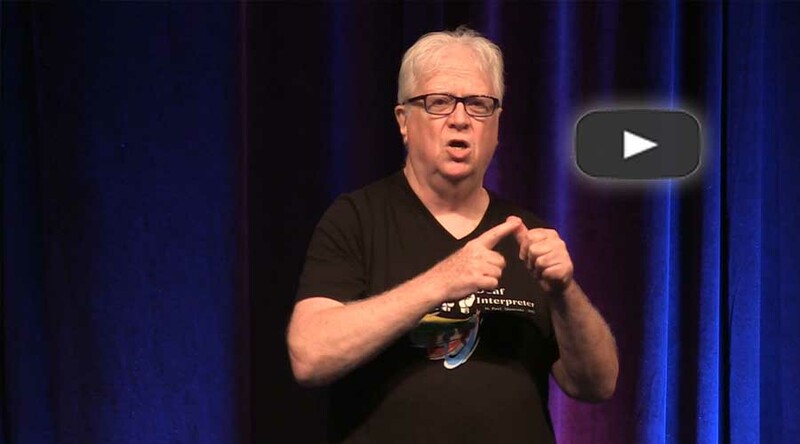 His presentation provides an insider’s view from the historic Deaf Interpreter Conference held in June 2015. I would like to thank Sandra Maloney, Betty M. Colonomos, and Erica West Oyedele, the presenters before me here at StreetLeverage-X. They said many of the things I had planned to say, so I do not need to repeat it. Big thanks to all the committee members, Jimmy Beldon and Janis Cole for taking the lead to make the Deaf Interpreter Conference a reality. The committee communicated only with Glide using ASL – no emails or texting. The committee would get anywhere from few messages a day to hundreds a day as the Conference drew nearer. They accomplished this huge task in less than 6 months. This historic conference, the first of its kind, took place June 20-24, 2015 at St. Catherine University, in St. Paul, Minnesota. Everyone involved was Deaf, the only hearing people I saw were probably the cafeteria staff. The Conference drew 208 attendees: some CDIs, DIs with experience, and others with no experience. Many of the attendees without experience wanted to become DIs but were not sure how to do it. The DIC had three workshop tracks: Advanced, Beginner and Mixed, so there was something for everyone who attended. Topics presented there are similar what you would find at the RID Conference: Legal, Medical, the mechanics of interpreting, where to go for training; detailed, specialized topics as well as more global topics were covered. On opening day, the conference held a reframing workshop where we came up with CELT. This concept became our theme for the rest of the conference. I will explain that in a moment, but first understand that when we first arrived, there was a bit of awkwardness as we met, discovered who was there, why they were there, etc. CELT is Compassion, Empathy, Listening and Transparency, and it became our motto for the week. Though the conference only lasted 5 days, it felt like a week! Another consistent theme that ran throughout the week was the need to educate- educate Hearing interpreters, consumers, everyone. I have two slides I will be showing you comparing Deaf interpreters (DIs) to Hearing interpreters (HIs). What are some characteristics of DIs? DIs are Lifelong Interpreters: we have been interpreters most of our lives. I remember when I was about seven years old, I was in class with several Deaf classmates. The teacher was trying to teach us some lesson. As soon as the teacher turned her back, someone would ask me what she had just said. We would discuss/collaborate/interpret the lesson. We found that was a common experience shared by many of us at DIC: we all relied on each other to understand what was said. These experiences ingrained that role in us and led most of us to continue the practice in the form of the role of DI. I am sure many of you are familiar with Deaf Norms, but one example is the need to have collaborative discussions to understand what is said. This is not true for Hearing people. This dialogical approach is utilized by most experienced DIs as we work with consumers. Although a Deaf person commonly engages in conversation with the DI, this is not typical for many HIs. While the DI is engaged with the Deaf person, the DI takes in more messages and questions via the HI. We simply keep the dialogue going and incorporate the new information in our conversation. The concept of an interpreter as the conveyor of messages between consumers, without dialogue, is not the norm with DIs. Nor is the idea that if the Deaf person doesn’t understand something – too bad! This shift to a dialogic approach to interpreting was validated for me at the conference. In our conversations through the week, we noted a major difference when a DI interprets the Deaf person’s message to the HI. With a DI present, the Deaf person can see the DI’s interpretation and, if needed, correct the information/message. If a DI is not present, the Deaf person never knows if they were understood or if their message was properly interpreted to the Hearing person. This is one critical piece that is missing in more typical interpreting situations. This lack of access has lead to much abuse of power and privilege. In discussions about our expectations of the HI, particularly in terms of language, there was no consensus among DIC attendees. When considering DIs’ preferences in terms of the language used by HI, styles of interpreting vary from job to job. Some assignments may be at a much higher register than others. The message is the same regardless of how it is conveyed. Conference attendees also explored ways DIs/HIs might collaborate as a team. One point of consensus was that team members must make agreements prior to the job. Of course, much discussion took place about Hearing interpreters throughout the week. Complaints were raised, for sure, but I want to focus on the qualities of HIs that enhance our work as DIs. We are all learning to be collaborators in the interpreting process. One practice DIs appreciate is when the HI trusts the DI to handle the on-site introductions. This approach alleviates the awkwardness that occurs when the HI tries to explain “who we are,” etc., while signing simultaneously. The DI can introduce the team and explain the process while the HI interprets providing simultaneous explanation to both the Hearing and Deaf person. Developing a rapport between the HI and DI is key for this kind of confidence to develop. 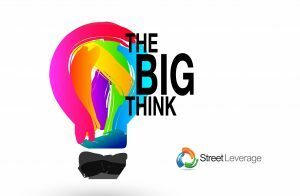 I want to acknowledge Amy Williamson for sharing the concept of “Brokering” at the 2015 Street Leverage Live event I attended in Boston. She provided a term for what we do: this process of working together to communicate the information/message to both Deaf and Hearing parties. Another characteristic DIs appreciate is the willingness to “Pre-Brief” before a job. I don’t think “pre-brief” is a word in English, but I am using it to describe the meeting that should take place before we begin to interpret. Typically, DIs also like to debrief after the job is completed. I want to reflect on the previous presenters and how their presentations connect to what took place at DIC. Sandra Maloney talked about the “Extraction Mindset” – thinking outside of the box and being open to new ideas. This relates to a wish many DIs expressed at DIC: DIs wish to be welcomed by HIs. We want to work with you. Yes, DIs have our preferences but we recognize the need to be more flexible and learn to work with all HIs. Betty Colonomos’ concept of gatekeeper is also relevant. At DIC, we discussed this very topic and believe it should be the responsibility of the DIs to manage gatekeeping. Invite DIs to be part of the team and we will take care of the gatekeeping. The key word Betty uses is respect. Respect the fact that DIs are here. Mutual respect for each other and our work will go a long way instead of being treated like extra, unnecessary baggage. Erica West Oyedele’s topic, People of Color, brought to mind many similarities between POC and Deaf people. Like the Black community, Deaf people, including myself, are angry. We are finding power in talking with each other. I have had HIs describe the sigh of relief they hear from the Deaf person when they realize a DI is there. I’ve experienced this sigh of relief before going into court when the Deaf consumer realized that I was deaf and would be there for him. That should tell you something. The need to educate is not new. Universities, even in the present day, have resisted including Deaf people in their interpreter education programs. This needs to stop. 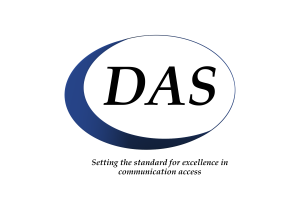 Deaf interpreting must be included in interpreter preparation programs, both in training Deaf people to become interpreters and in teaching the hearing students what DIs do and how to work with us. If you open the door to DIs, we will help all interpreters improve by learning how we can team and work together. As it is today, I personally do not know how to team with some of you HIs. I guarantee you will be seeing more of us, both out there in the community and at our conferences. It is unfortunate that the 2015 RID conference fell right after DIC as many DIs were not able to attend both conferences. Performance Testing Suspended: What Else Happened at the 2015 RID Conference? A look back at the 2015 RID National Conference reveals that recent moves by leadership and by membership have made the workings of the organization more inclusive – and more controversial. As the noise of Bourbon Street fades to allow a framing of the developments at the 2015 RID conference held August 8-12th in New Orleans, LA, questions linger regarding the suspension of performance testing. With some time and the visibility sought from the results of the risk assessment expected in November, we hope for greater clarity for the path forward. For more coverage on the credentialing moratorium click here. Though the suspension decision made by the RID leadership is in question, the membership in attendance recharted the future of the organization through a number of historic endorsements. For details on these and other motions during the business meeting, click here. 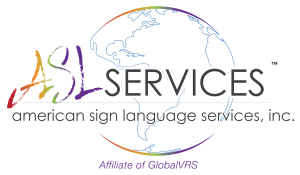 American Sign Language (ASL) was formally adopted as the official language of RID regional and national conferences. This is set to begin at the 2016 RID Regional Conferences. Note, ASL interpretation will be provided in workshops and presentations focused on spoken language. This motion, Motion A, passed with a count of 249 of 368 in favor. Upon the reading of the results there was an audible expression of relief from proponents. Continuing Education within the RID Certification Maintenance Program (CMP) will be adjusted to include a 1.0 Power, Privilege, and Oppression CEU requirement. Of the 6.0 required Professional Studies CEUs [RID requires 8.0 total CEUs per development cycle], 1.0 will now be required to be on topics of Power, Privilege and Oppression. The discussions were lengthy and spirited. The motion required 186 votes in support. It narrowly passed with 188 in favor, 89 opposed and 15 abstentions. In light of the recent announcement of the RID Views going strictly digital, the membership in attendance endorsed publication of the JOI and the RID Views in both ASL and English. The dual format approach to publication is set to begin with the first digital copy of the RID Views and the next volume of the JOI. A call for the vote left a number of waiting members unable to comment. The motion, Motion L, carried with 188 votes in support and 56 in opposition. 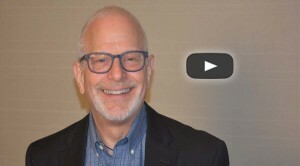 Despite an undercurrent of dissatisfaction among many members, the RID leadership affirmed their commitment to the future governance of RID from the stage at the conference and in interviews with StreetLeverage. 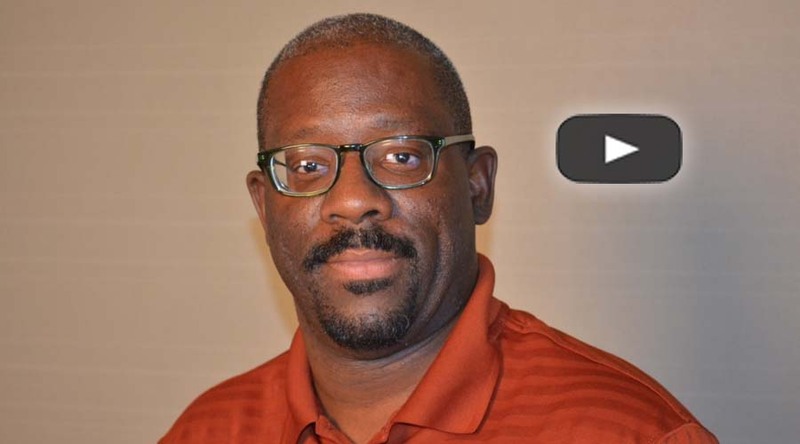 Ritchie Bryant, new Deaf Member-at-Large, sits down with Brandon Arthur and shares his perspective on increasing the number of Deaf people and People of Color within RID. 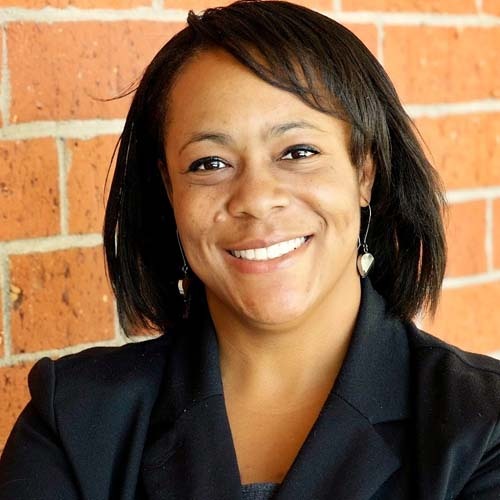 LaVona Andrew sits down with Brandon Arthur and shares her perspective on representing the interest of the membership to the RID Board of Directors. When Will RID get a New Executive Director? Lewis Merkin sits down with Brandon Arthur and shares where RID is with hiring a new Executive Director. 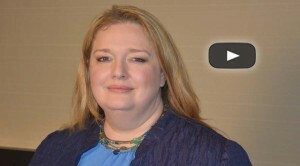 Dawn Witcher sits down with Brandon Arthur and reflects on her term as RID President and shares what she hopes to accomplish over the next 2 years. How is RID’s Financial Health? 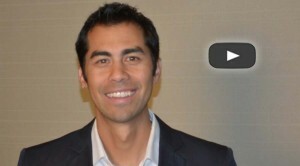 Wing Butler sits down with Brandon Arthur and shared insight on the financial health of RID. The format of the conference offered daily sessions promoting social and political awareness, broader inclusion, and an exploration of the challenges facing the field of sign language interpreting. These provocative, introspective forums served as the platform to elevate the level of discourse at the conference and extend a blueprint to attendees for use in their local communities. Please find an overview of the dialogue that assisted in framing the discourse during the conference. This session addressed a range of issues including generational differences, the implications of the Deafhood movement for interpreters, the power of our words and exploring the difference between having access and having to ask for access, our interface with the emerging field of CDI’s and future trends in the Deaf and interpreting communities. For comprehensive microblog coverage, click here. The Social Justice Roundtable encouraged participants to engage in meaningful exchanges around anti-oppression and social justice issues. For comprehensive microblog coverage, click here. This fast moving, interactive session was designed to spark reflection, critical thinking and personal accountability among sign language interpreters on issues of possessing an extraction mindset, impacts of power and privilege, dedicating space for Deaf Interpreters, and the importance of industry gatekeepers. For comprehensive microblog coverage, click here. This session engaged panelists and audience members in a collective analysis of a few of the challenges troubling the field of sign language interpreting and how they might be addressed. 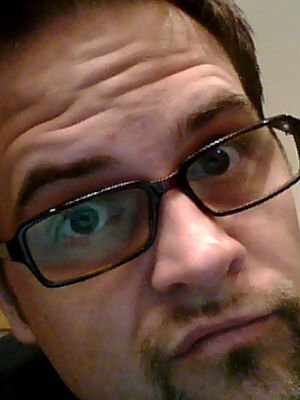 For comprehensive microblog coverage, click here. The various conference sessions reflected a broad range of perspectives within the field as well as a diversity of thought and practice that exists among practitioners and educators. In addition to the standard glass of social media served up by the StreetLeverage social ninjas, they also did a deeper dive on a number of conference sessions. To view these session summaries, click here. The StreetLeverage endeavor to extend the 2015 RID Conference to the many dedicated interpreters unable to attend would not have been possible without those possessing ample helpings of generosity, reciprocity, and humility. Special thanks to the following organizations and individuals for their vision to actively reinvest in their communities. We are grateful for the vision of Dawn Witcher, Anna Witter-Merithew, and Tina Maggio who endorsed the StreetLeverage endeavor to extend the important dialogue from the 2015 RID Conference to those seeking indicators of change and progress within the field. 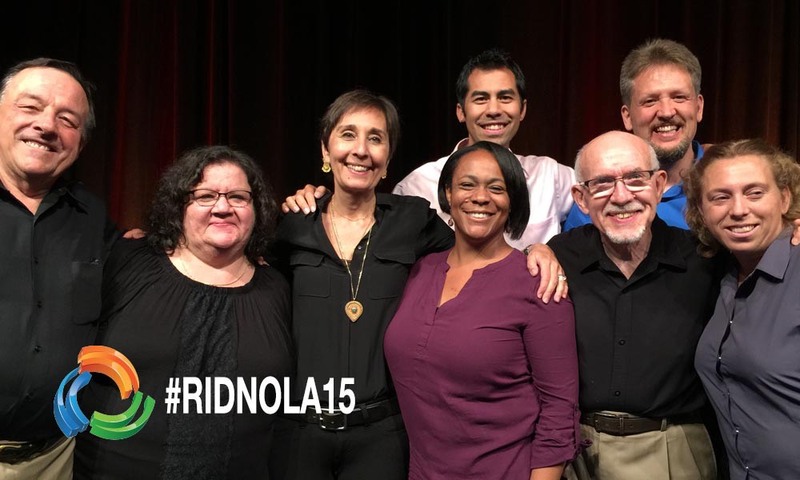 Although the discourse of the conference may be overshadowed by the bombshell announcement of the suspension of performance testing, a level of momentum has been generated by the events at the 2015 RID Conference in New Orleans. Attendees appeared to leave with a greater sense of purpose, an awareness of the gravity of the work ahead, and a new found courage to engage in the reflection required to redefine the field, organization, and what it means to be a sign language interpreter.